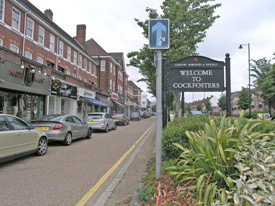 Potential purchsers often talk about the two sides of Winchmore Hill with the dividing line taken as Green Lanes. The roads to the north west of the area, between Grange Park and The Green, tend to be the most sought after and this is reflected in their values. The area has its own mainline station located on Station Road. 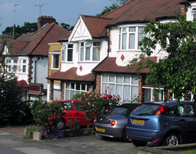 The Edwardian Lakes Estate comprises a group of roads either side of Fox Lane and spanning the post codes of N13 and N14. The estate is flanked by two parks - just over the boundary in Winchmore Hill is Grovelands Park which amongst other attractions has a pitch and put course and a lovely lake side café. To the south is Broomfield Park which has an impressive children’s playground. Southgate is essentially made up of several 1920s and 30s housing estates with a splattering of more modern buildings. Most sought after are the Minchenden and Meadway Estates. At the centre of the area stands the famous circular tube station, designed by Charles Holden in the Art Deco style. Generally more affordable than the neighbouring areas of Southgate and Winchmore Hill, but with many similar attributes, Palmers Green is popular with first time buyers and renters. The area is notable for its high level of private rented accommodation. 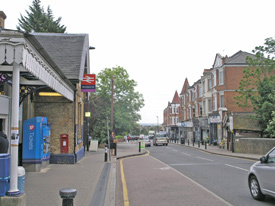 Palmers Green mainline station is situated on Aldermans Hill with services to Moorgate (& Kings Cross at week-ends). Oakwood spans the postcodes of N14 and EN4 and is situated to the south of Trent Country Park - a 413 acre country park with vast open spaces ideal for walking, jogging, cycling, horse riding and dog walking. 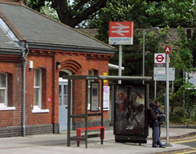 The area has its own tube station; located in zone 5 of the Piccadilly Line. The Journey time to Leicester Square is just under half an hour. 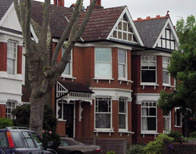 Highlands Village is located to the north of Winchmore Hill between Oakwood and Enfield. It sits on the site of the old Highlands Hospital. The original Victorian hospital closed its doors in the 1990s and the site was sold for residential use. Most of the Victorian hospital blocks were retained and converted into modern apartments. Grange Park shares a postcode with Winchmore Hill and is to the north of that area, encompassed within the triangle formed by Green Dragon Lane, Old Park Ridings and Enfield Golf Course. The area has its own mainline station with services to Moorgate (& Kings Cross at week-ends). Enfield Town boasts excellent shopping facilities, including Palace Gardens Shopping Centre which houses a selection of big-name retailers. A market continues to trade in the historic Market Place in Enfield Town offering goods ranging from fresh produce to household items. Cockfosters spans the London Boroughs of Enfield and Barnet and is situated to the north of Oakwood and East Barnet. 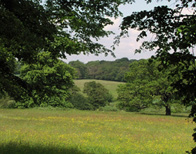 Just to the east of the area is Trent Park, a beautiful 413 acre country park with vast open spaces ideal for walking, jogging, cycling, horse riding and dog walking. 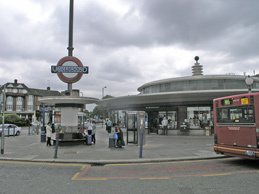 Cockfosters Tube Station is the last stop on the Piccadilly Line (zone 5). 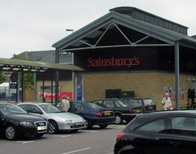 Despite often being grouped in with Enfield Town the area has its own unique identity and offers an attractive more affordable alternative to some of the surrounding areas. There are a good selection of shops, cafés and other amenities close to the station. The area has its own Network Rail station with trains running to Liverpool Street. 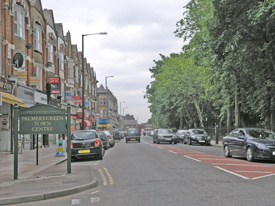 Bounds Green is located to the north-east of Muswell Hill and is flanked to its northern boundary by the A406 (North Circular Road). 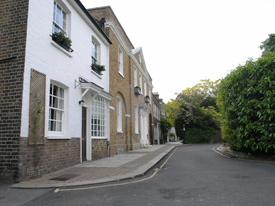 The area has benefitted in recent years from its proximity to the well regarded area of Muswell Hill. 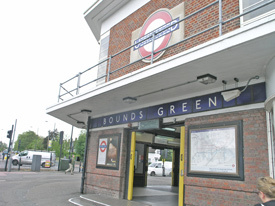 Bounds Green tube station is 12 stops from Leicester Square on the Piccadilly Line. 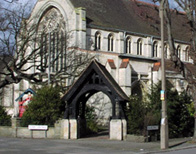 Arnos Grove is situated between Southgate and New Southgate around the western end of Bowes Road. It has its own tube station located within zone 4 on the Piccadilly Line. The distinctive Station Building was recently featured alongside the Sydney Opera House and the Empire State Building on the Guardian’s list of 12 Great Modern Buildings.